Summer has been great, hasn’t it? Longer days, more time outside playing, vacations to see family members, backyard camp-outs and maybe even some hockey school for good measure. All of this activity means lots of kids have become used to sleeping late and with a lot less structure to their days. So how do parents help kids get back in the groove for both school and hockey? Different people have different routines but the important thing to remember is that a routine is all about being prepared. Time management can be difficult for kids transitioning out of a summer routine but with a bit of structure, they will be able to take ownership of their time and with a bit of help be able to effectively plan time to do homework and complete chores around the house. 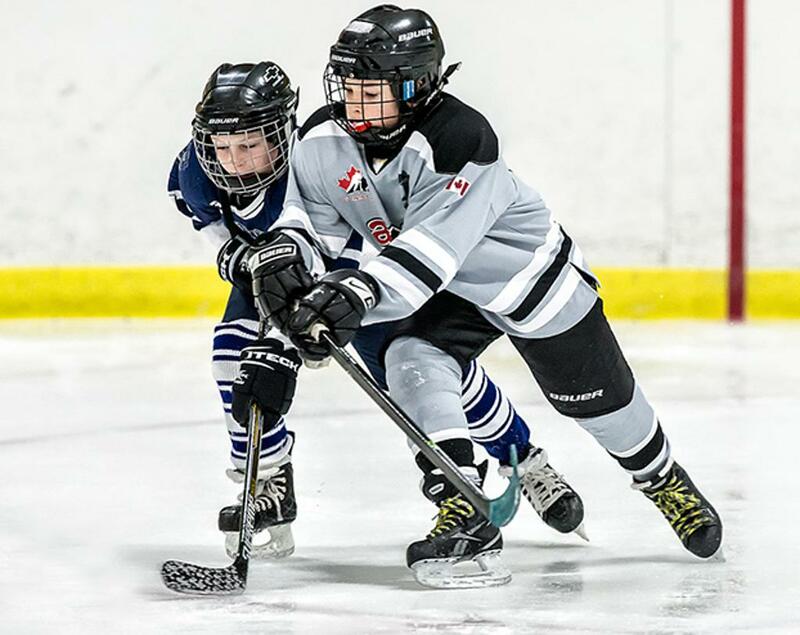 It is also important at this time of year to build a routine for extra curricular activities such as hockey which could include making sure they have all their equipment, taping hockey sticks making sure their skates are sharpened and knowing when games and practices are scheduled. Sleep is a vital need, essential to a child’s health and growth. Sleep promotes alertness, memory and performance. Children who get enough sleep are more likely to function better and are less prone to behavioral problems and moodiness. That is why it is important for parents to start early and help their children develop good sleep habits. Kids ages 5 to 12 need 10 to 11 hours of sleep each night to help stay healthy and grow. Practices and games over the dinner hour often leave families running in different directions and eating on the fly. Fast food and convenience items can be a lifesaver in a pinch and during you’re the summertime – but when it becomes the norm, it can have negative effects on everyone in the family. Athletes and siblings miss out on much needed nutrients from whole grains and fresh vegetables found in home cooked nutritious meals. The dinnertime is perhaps the most instrumental meal to keep families connected, especially for teenagers. Research has shown, teenagers who eat family meals at least 3x per week have significantly higher grades in school, better self esteem and less substance abuse (drugs and alcohol). It is also important to pay attention to your eating before and immediately after a game or practice as it can double or TRIPLE your speed of recovery if done properly. That could give YOUR team the competitive edge on day 3 of a tournament. Although the amount of time kids spend on screens has been a big news focus, what's even more important is the quality of kids' media and how it fits into your family's lifestyle. Pay attention to how your kids act during and after watching TV, playing video games, or hanging out online. If they're using high-quality, age-appropriate media; their behavior is positive; and their screen-time activities are balanced with plenty of healthy screen-free ones, there's no need to worry. If you're concerned about heavy media use, consider creating a schedule that works for your family. This can include weekly screen-time limits, limits on the kinds of screens they can use, and guidelines on the types of activities they can do or programs they can watch. Make sure to get your kids' input as well so the plan teaches media literacy and self-regulation, and use this as an opportunity to discover what they like watching. Spending time working on your skills in the driveway while the weather is still nice out is a great way to get ahead at the rink. The extra puck touches and shots put in now will pay off as the season progresses, and spending time outside in the fall is the perfect condition for working up a sweat and perfecting your hockey skills. The Ontario Minor Hockey Association has created three challenges for hockey players to develop their shooting, passing, and conditioning skills at home in a fun and easy way.